Welcome to the Blue Apron Referral Program (“Referral Program”). These Referral Program terms and conditions (“Referral Terms & Conditions”) govern your participation in the Blue Apron Referral Program so please read them carefully. By participating in the Referral Program, you agree to abide by these Referral Terms & Conditions. If you don’t agree to these Referral Terms & Conditions, you may not participate in Referral Program. 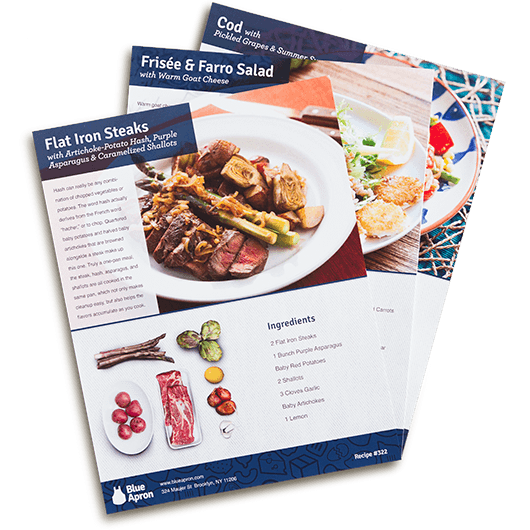 Blue Apron may provide you with the opportunity to invite your friends and family members (each, an “Invitee”) to join Blue Apron. Participation in the Referral Program is by invitation only and completely voluntary. If you have Referral Program invitations, we will notify you in the Free Meals section of your Account (you can find a link to the Free Meals section by logging into your Account and looking at the top navigation bar). 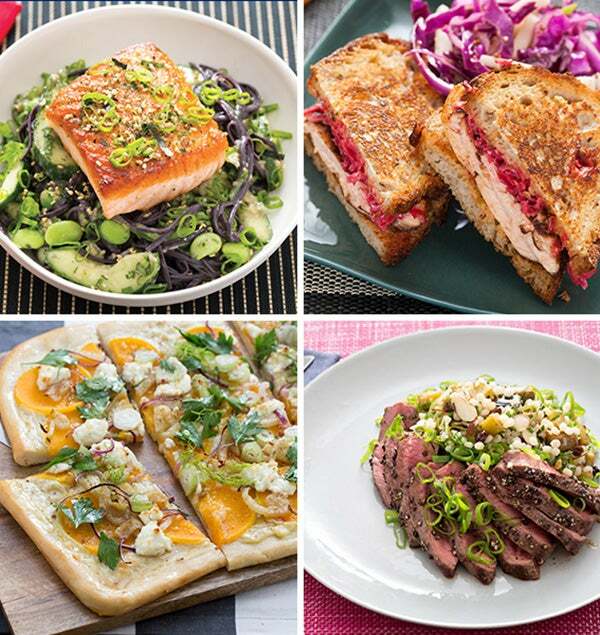 Blue Apron may, from time to time, provide you with the opportunity to earn referral credits (“Referral Credits”) when you refer an eligible Invitee to Blue Apron through the Referral Program. The Referral Credits can only be used towards future eligible Orders for your Meal Subscription. We provide more information about Referral Credits below. To be eligible to participate in the Referral Program as a referrer (this is the person that sends out the invitation) or to earn any Referral Credits, you must have and maintain an active Blue Apron account and be in good standing, be over 18 years old, and be a legal resident of the United States. Blue Apron reserves the right to terminate and disqualify you at any time from participating in the Referral Program if you don’t comply with these Referral Terms & Conditions. If you are eligible to earn Referral Credits we will let you know in the Free Meals section of your Account. You may only receive a Referral Credit if your Invitee clicks on your Referral Program invitation link, is a new Blue Apron customer (who has not previously subscribed to Blue Apron), completes the registration process, is over the age of 18, resides in the United States, and participates in a Meal Subscription program as described in connection with the respective Referral Credit(s). We will notify you via email if you have earned a Referral Credit. The amount of Referral Credits that you may receive and the time period in which you may earn Referral Credits are subject to limitation. Referral Credits will expire upon the cancellation of your Blue Apron account. Spam, bulk distribution of invitations, distribution to strangers, or any other promotion of your Referral Program invitations that would constitute or appear to constitute unsolicited commercial e-mail or spam under any applicable law or regulation. Fraud, attempted fraud, or abuse of the Referral Program or Referral Terms & Conditions. Selling, trading, bartering, or providing anything of value to your Invitee beyond the Referral Program invitation, or otherwise using your Referral Program Invitations or Referral Credits for promotional purposes. Sending more than one Referral Program invitation to the same household. A few more important notes: Referral Credits are not valid for cash or cash equivalent, for purchase of Blue Apron Marketplace items, Gift Cards, Wine Subscriptions, or previously paid subscription fees. No exchange of value for the Referral Program invitation or any Referral Credit (whether cash, product or barter) is allowed, and Referral Credits cannot be transferred to other people or accounts. Blue Apron reserves the right at any time to modify or discontinue the Referral Program, either temporarily or permanently (or any part thereof). If we modify or discontinue the Referral Program, we will let you know via email or by posting a notice on the Blue Apron Site. Blue Apron will not be liable to you in the event of any modification, suspension or discontinuance of the Referral Program. Blue Apron reserves the right to amend, modify or waive these Referral Program Terms & Conditions at any time in its sole discretion.